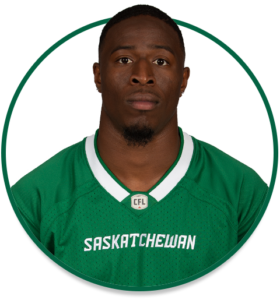 PRO: Signed with the Riders in June, 2017. 2018: Started 12 regular-season games and the Western Semi-Final…had 42 defensive tackles, four tackles for loss, one special-teams tackle and one interception…added one defensive tackle in the playoffs. COLLEGE: Spent two seasons at Oklahoma State (2015-16)…played 13 collegiate games…had 16 defensive tackles and one tackle for loss…sat out the 2015 season as a redshirt transfer…spent 2014 season at Auburn…played 13 collegiate games…had 27 defensive tackles and one forced fumble.